Obtain the Certified Risk Management Practitionerdesignation by enrolling for the Board Exam I,taking place 29 November 2019. 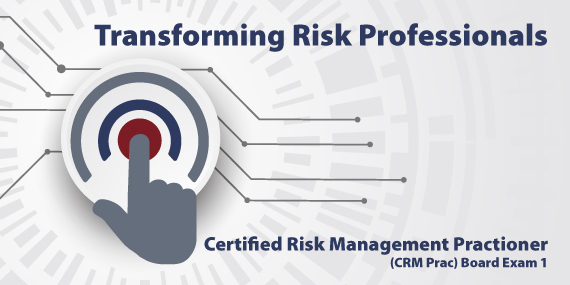 Risk Managers who have this designation will be able to assist businesses to better understand the multiple risks they face in a holistic and comprehensive manner, as well as provide assistance and guidance in providing effective risk management capability in your organisation. 3. Provides confidence that your risk management teams are appropriately qualified, experienced and competent.